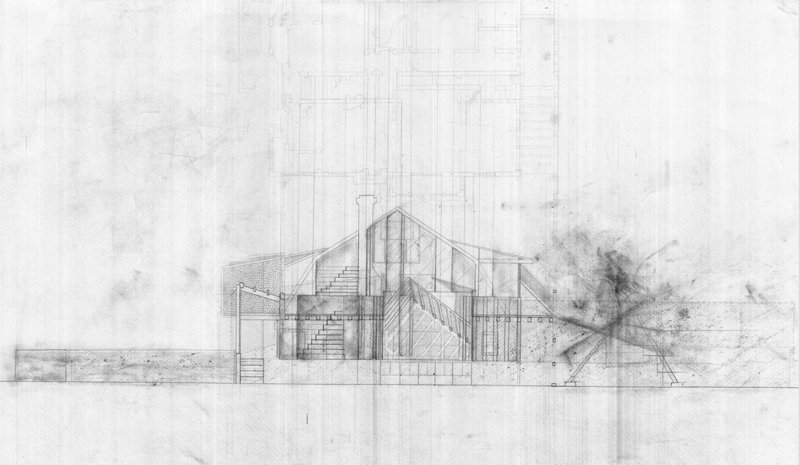 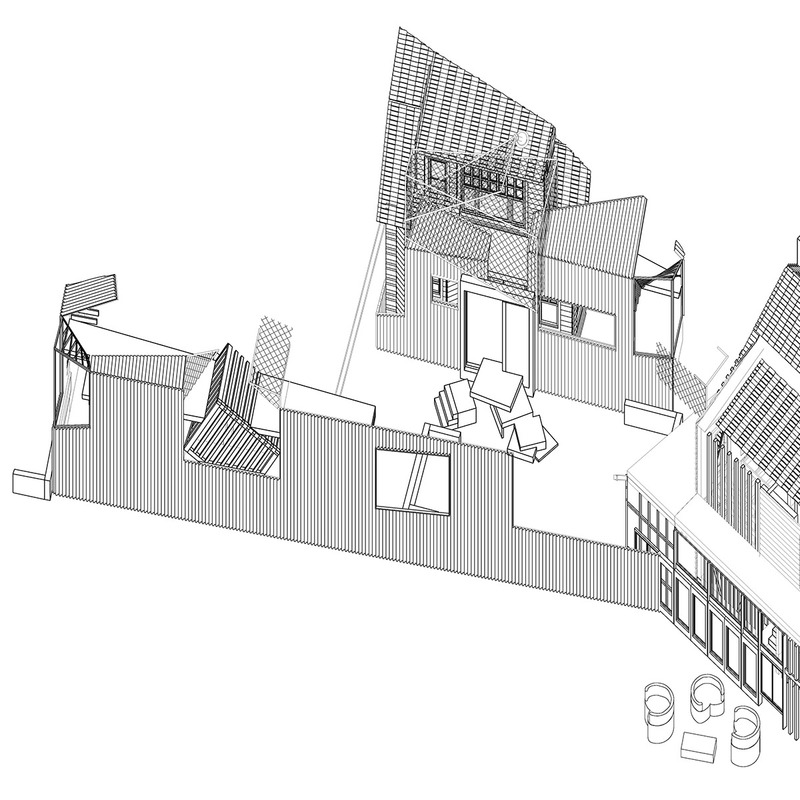 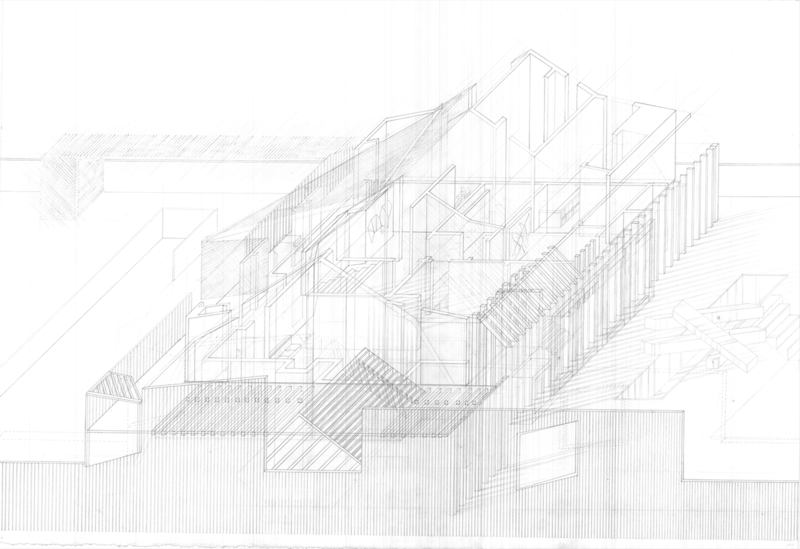 This is a semester long drawing project that analyzes Gehry Residence in Santa Monica. 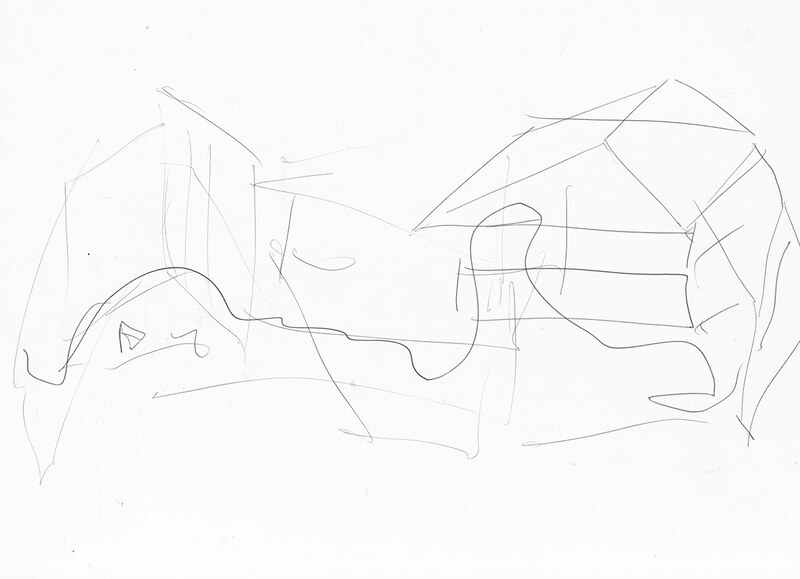 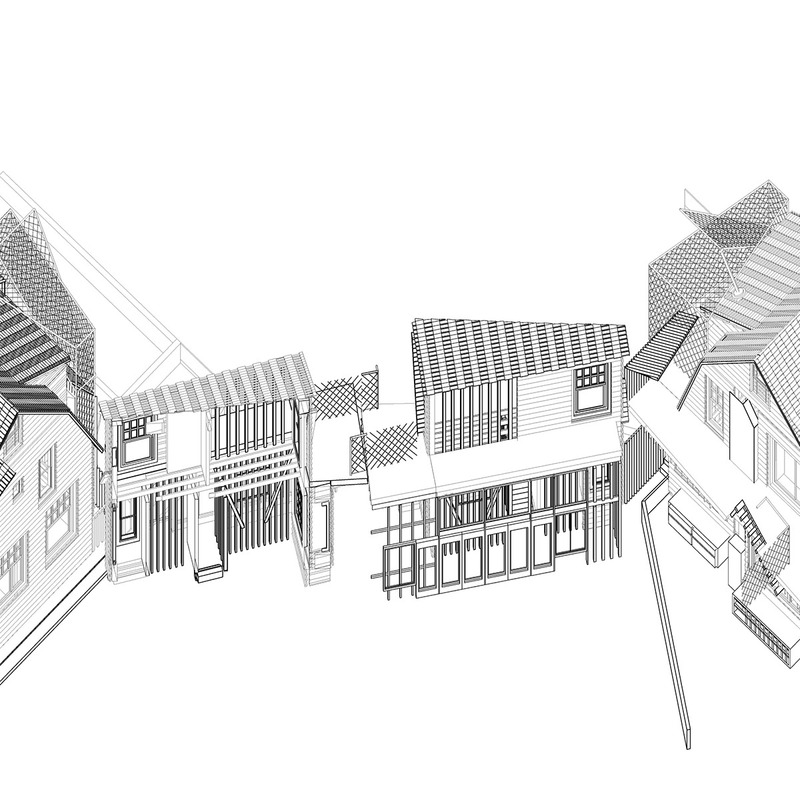 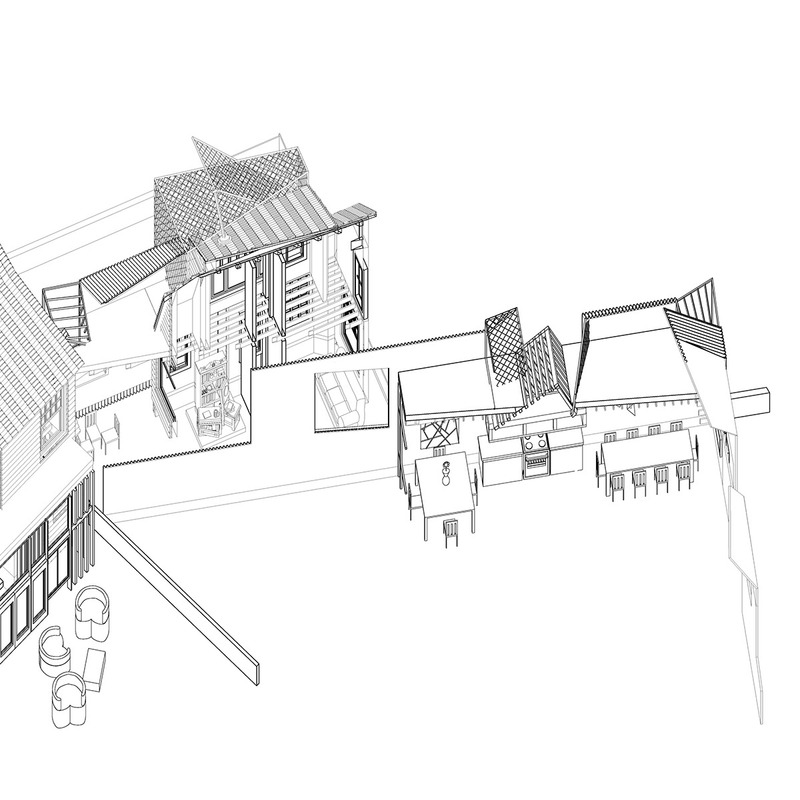 The aim of the project was to discover and reveal new information about the architecture with each drawing. 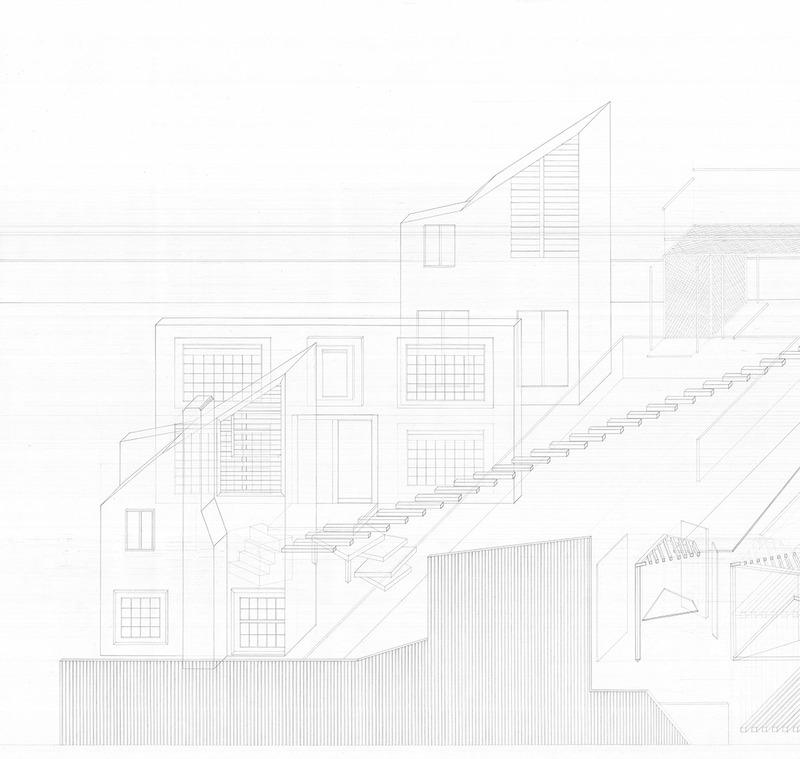 Because Gehry Residence is Frank Gehry’s own house, by its nature, the architecture embodies the ideas of contrast between old and new, gesture and line, deconstruction and reconstruction, and experimentation with space, self-orientation and materiality. 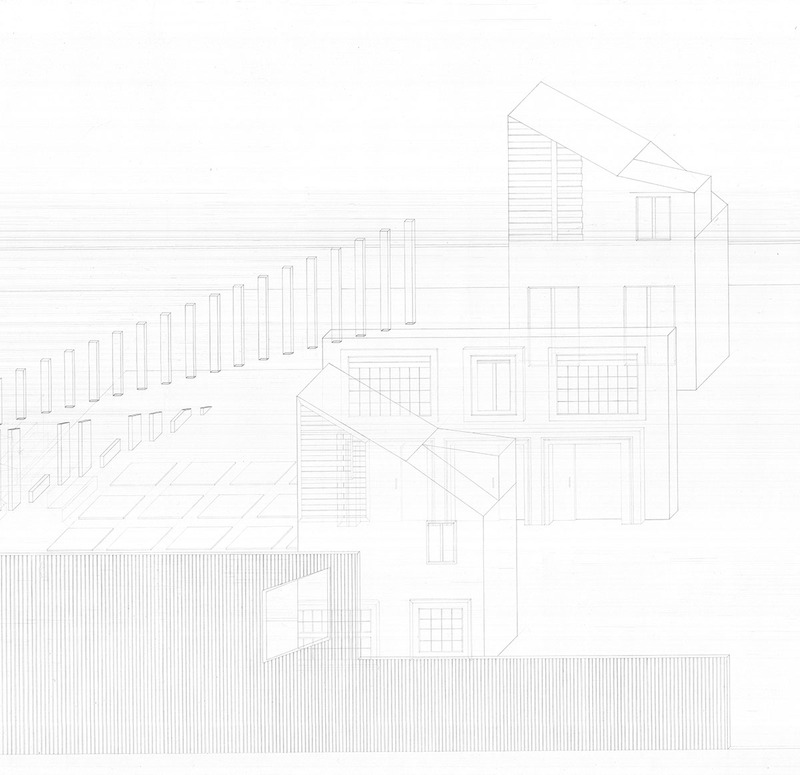 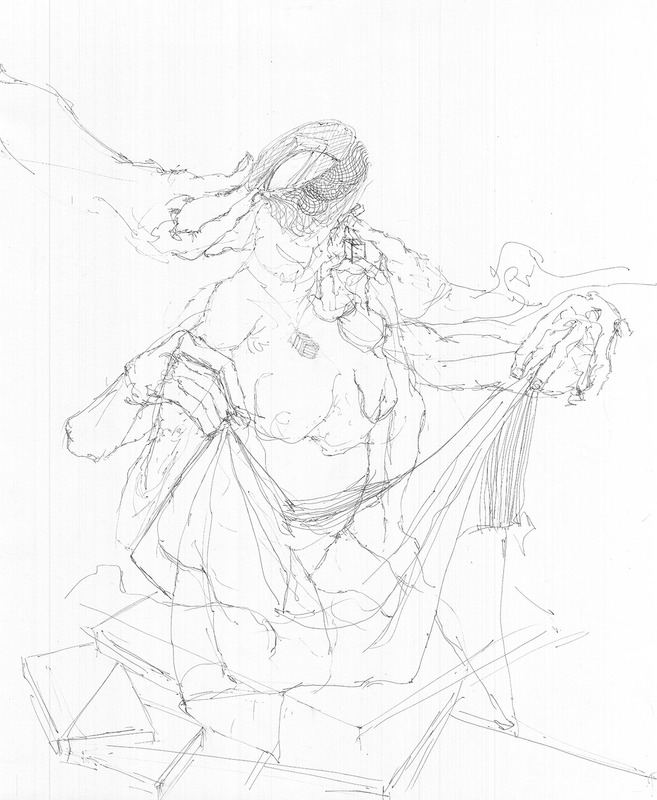 By building on these concepts of the building, each drawing became analyses of these conditions and suggested new ways of moving forward as representation. 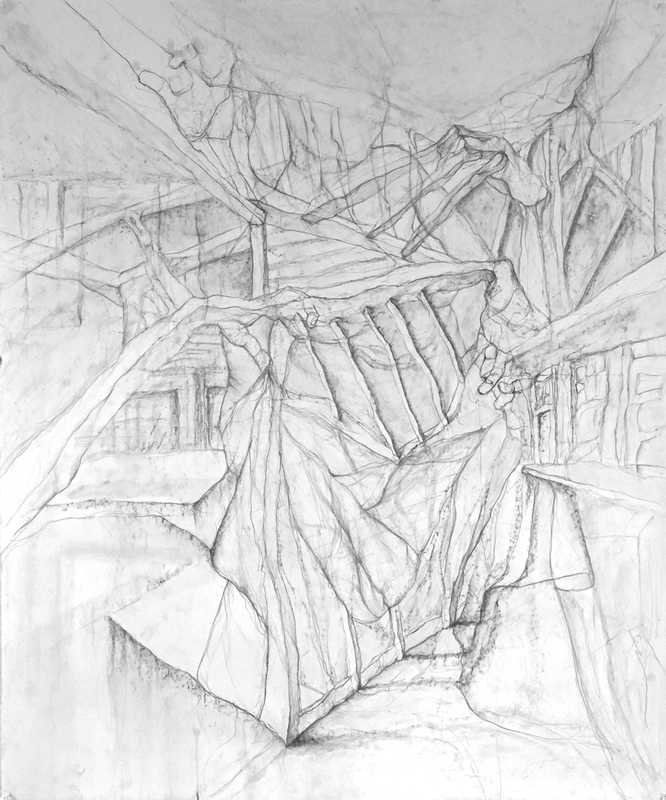 The way the drawings are constructed shows signs of what questions and answers I was dealing with at different points of my process. 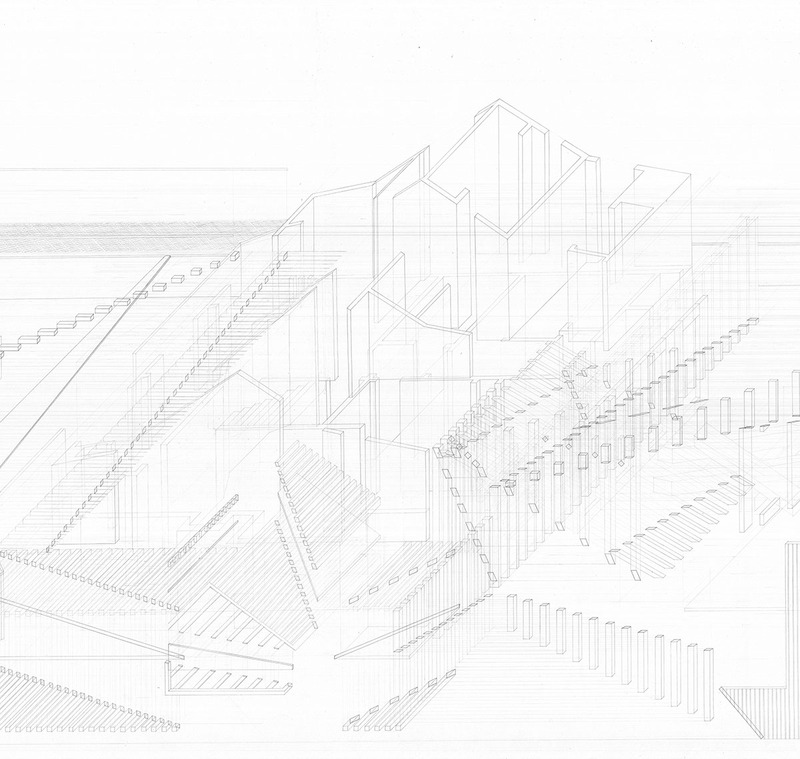 In that way, drawings were transformed into dictionary (memory) of the process in which the ideas about, interpretation, representation and intentionality were constant points of discussion.